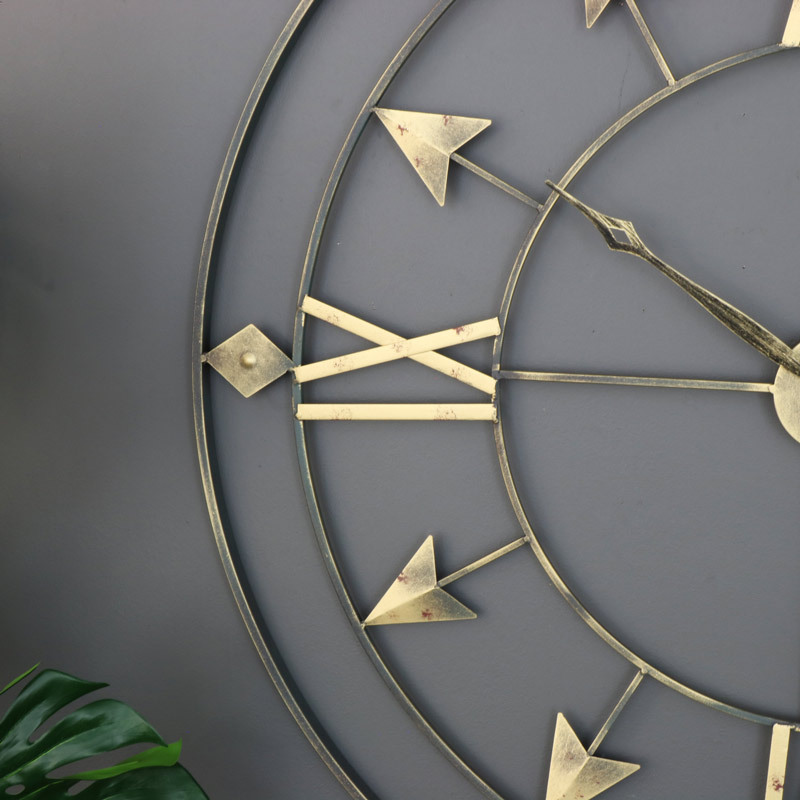 This clock is simply huge and just what you need for making a very bold statement. In the classical skeleton style frame finished in grey and gold. This will make a fantastic focal point in the living room or large hallway. 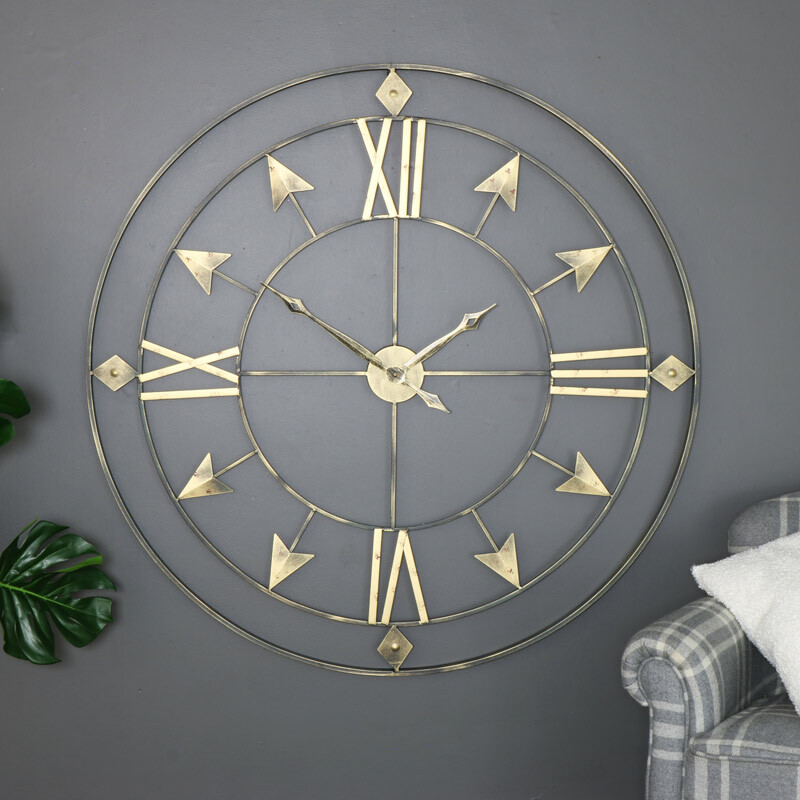 The outer frame is finished in a rustic grey with the Roman numerals of 3, 6, 9 and 12 highlighted in a vintage gold and arrows to indicate the remaining numbers. This is a clock that will stand out and make for an interesting conversation piece. With so many more skeleton style clocks to choose from, this is a clock that fits in perfectly. 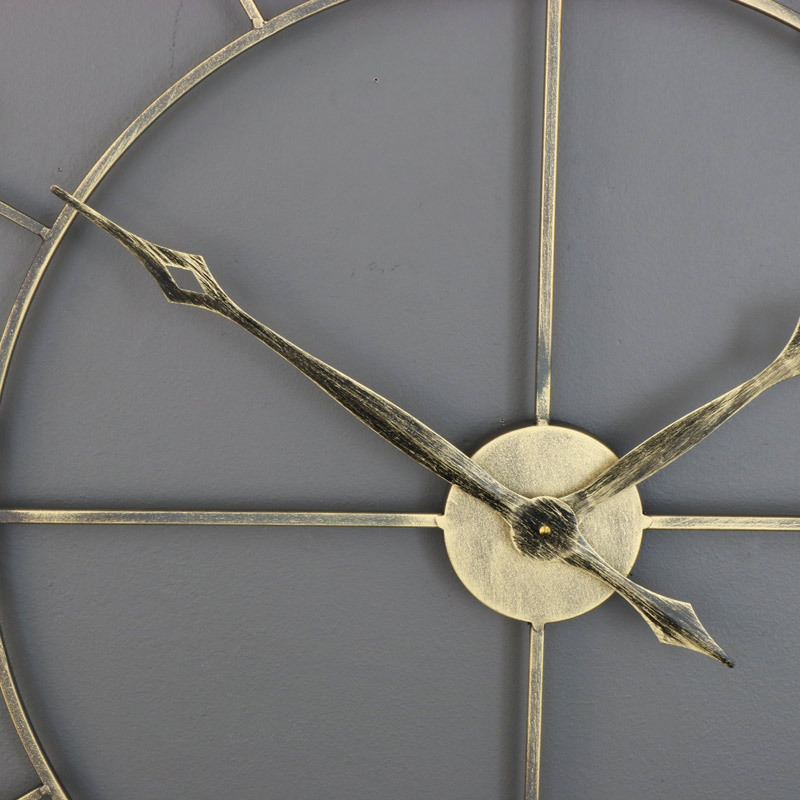 This clock is simply huge and just what you need for making a very bold statement. In the classical skeleton style frame finished in grey and gold. This will make a fantastic focal point in the living room or large hallway. 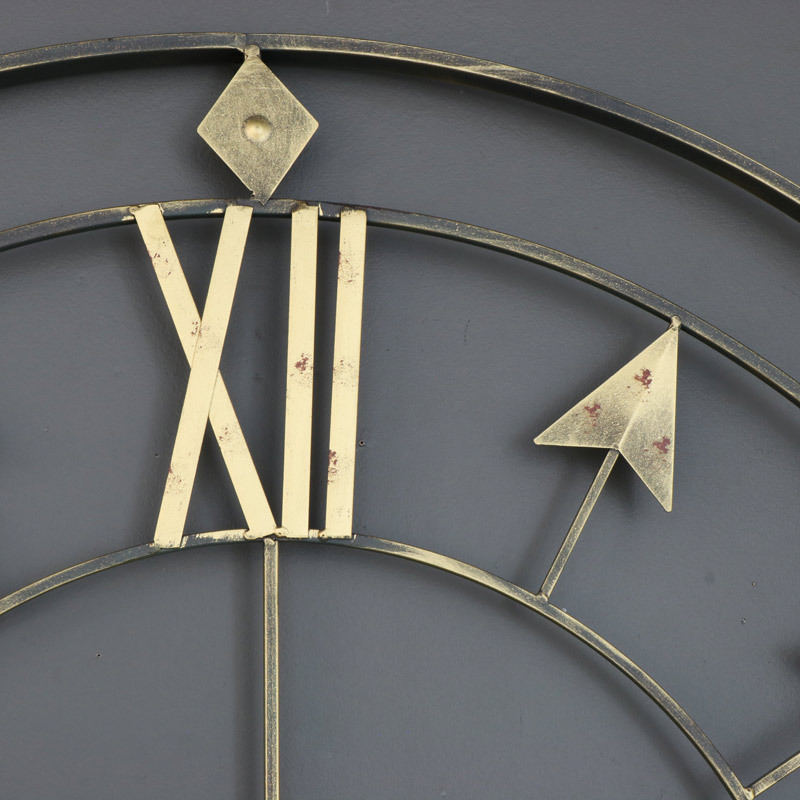 The outer frame is finished in a rustic grey with the Roman numerals of 3, 6, 9 and 12 highlighted in a vintage gold and arrows to indicate the remaining numbers. This is a clock that will stand out and make for an interesting conversation piece. With so many more skeleton style clocks to choose from, this is a clock that fits in perfectly. Made from metal in a grey and gold finish. Easily wall mounted with a hook on the back, the clock takes x1 AA battery (not included).